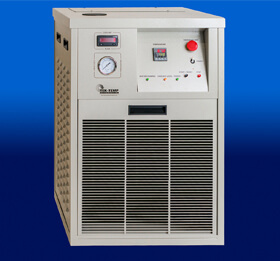 For applications that require low to high heating capacity at above-ambient temperatures, we offer the NRH-450 Series of heat-only systems. All NRH-450 units feature a stainless steel reservoir, stainless steel heaters and a high-temperature circulating pump design. 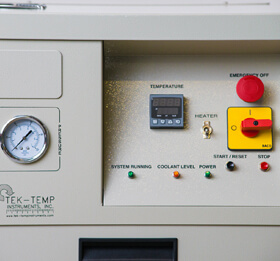 Digital indication of outlet temperature is provided, and PID temperature control is available to provide high stability for delicate processes. Overtemperature and low liquid level switches protect system components and your process equipment. 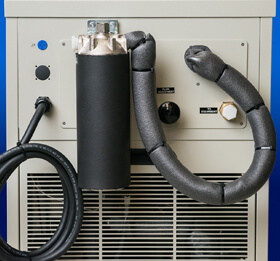 Our engineers will be happy to assist you in selecting the right capacity and option package for your recirculating heater application.